Throughout the month of May, Hilton Worldwide properties and offices hosted more than 750 events globally totaling 22,365 volunteer hours and reaching more than 90,000 young people. Hilton Worldwide (NYSE: HLT) recently celebrated its second annual Careers@Hilton Live: Youth in Hospitality Month, a global career awareness initiative showcasing the diversity of opportunities available in the hospitality industry. Throughout the month of May, Hilton Worldwide properties and offices hosted more than 750 events globally totaling 22,365 volunteer hours and reaching more than 90,000 young people. Careers@Hilton Live is just one program in support of the company’s Open Doors commitment to impact one million young people around the world by 2019 and better prepare them to reach their full potential. This year Hilton also took Careers@HiltonLive online, encouraging participation through Hilton’s “Career Concierge” experience. The program invited individuals to submit their questions via Twitter (@HiltonWorldwide) using hashtag #CareersatHiltonLive, or through www.hiltonworldwide.com/youth. Over the course of five weeks, 66 questions were received from 29 countries and answered by 13 Hilton Team Members. Wrapping up the month, Hilton’s own millennial Team Members shared their career advice with other job seekers through a series of videos. From offering top tips for careers in hospitality and achieving work-life balance to sharing their perspectives on leadership and what young people bring to businesses, Team Members provided their own insights on opportunities at Hilton. To view the video series, visit here. 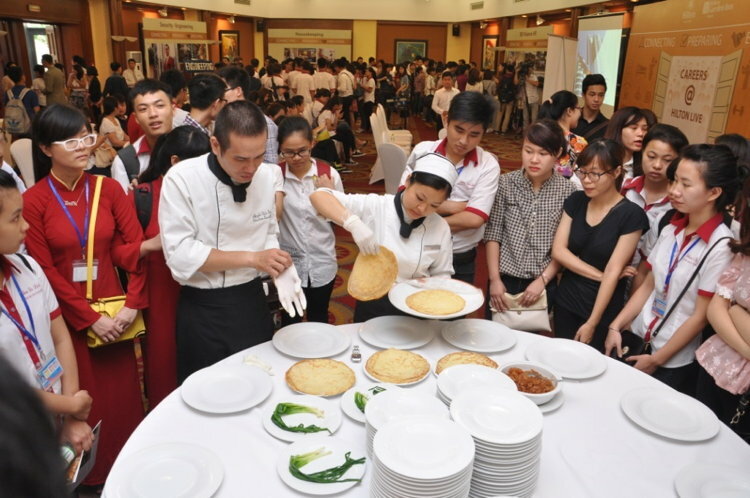 For more information about Careers@Hilton Live: Youth in Hospitality Month, please visit www.hiltonworldwide.com/youth.